When you’re bouncing around from meeting to meeting around DC, grabbing a quick bite is generally the best option. Thankfully DC has tons of good food trucks. 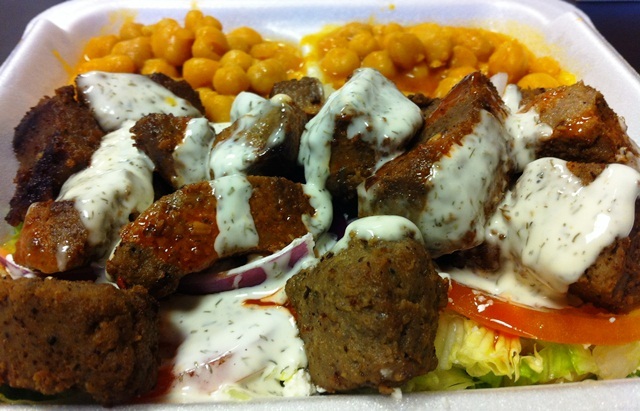 For the lobbyist on the run who wants some filling Greek-inspired fare, check out Tasty Kabob. 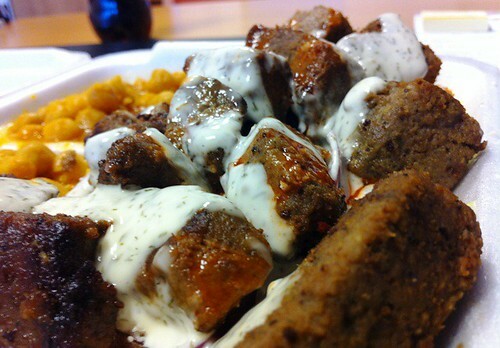 Offering tender pieces of chicken or lamb over rice,salad or in a gyro, sometimes meatballs, vegetarian options, and sides like okra or chick-peas, Tasty Kabob can likely satisfy all cravings. I opted for lamb over salad with chickpeas. The portion was huge, bigger than many food truck options I think. The lamb was tender, grilled, and perfectly seasoned. I opted for “spicy”, but you can get mild as well. The yogurt sauce served over the top was very flavorful, and the lettuce, tomato, and red onion were crispy and fresh. 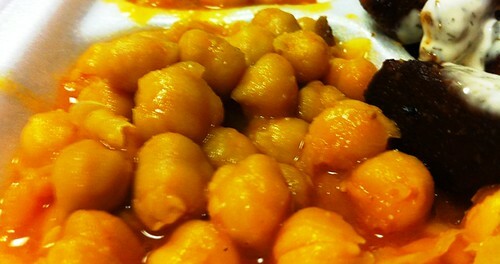 The chick-peas, not my favorite, were surprisingly good. Cooked perfectly and simmered in a thick, rich sauce and piping hot. Honestly, one of the better food truck meals I’ve tried. Will definitely return. Where: Tasty Kabob food truck. Schedule online or follow them on Twitter. Ugh this food truck made me SO SICK the one time I tried it. Must have been some bad lamb or something but now i’m scared of it! E – that’s unfortunate! Even ate leftovers the next day with no issues. Hopefully it was just an off day. Thanks for the comment!